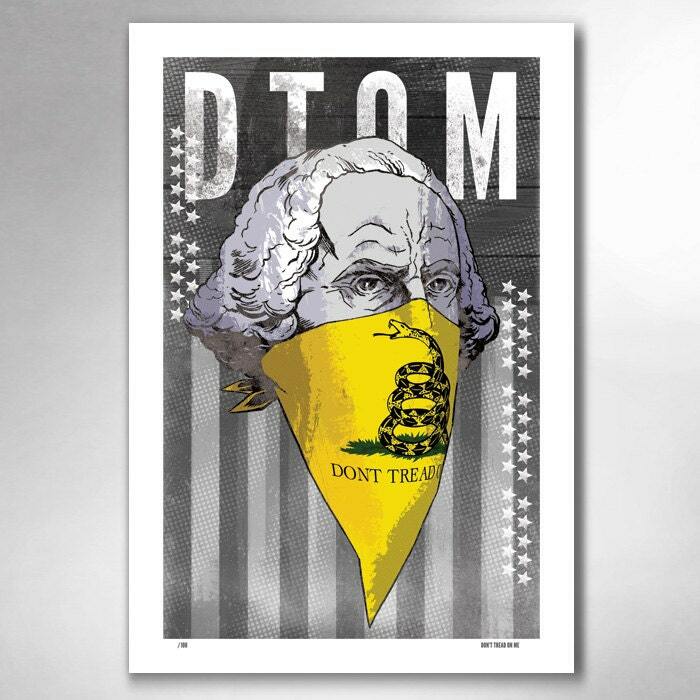 "DTOM (George Washington)" art print by Rob Ozborne. This is a Limited Edition of 100, signed and numbered. THE STORY: What, you want to tread on me?! GW says, nay! DTOM. 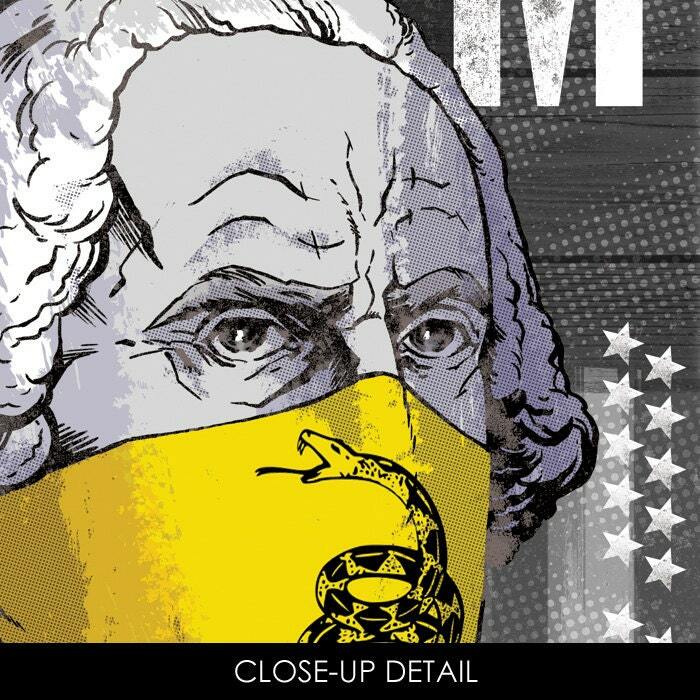 THE PRINT: This is a limited edition print of 100, signed and numbered by the artist. The artwork is printed on 13"x19" bright white matte art paper. The colors are lush. The frame is not included, but the print comes with a white border, and is ready to pop into a frame.